Experience island life at the Savoy Calheta Beach Hotel, a beachfront abode with fabulous facilities and a stunning location on the verdant island of Madeira. Spacious rooms will provide ultimate comfort and the chill-out rooftop terrace will only heighten the relaxation. Enjoy panoramic vistas of ocean and tropical foliage from various spots around the hotel and grounds, before indulging in a refreshing dip in the pool or pampering afternoon between the sauna and Turkish bath. 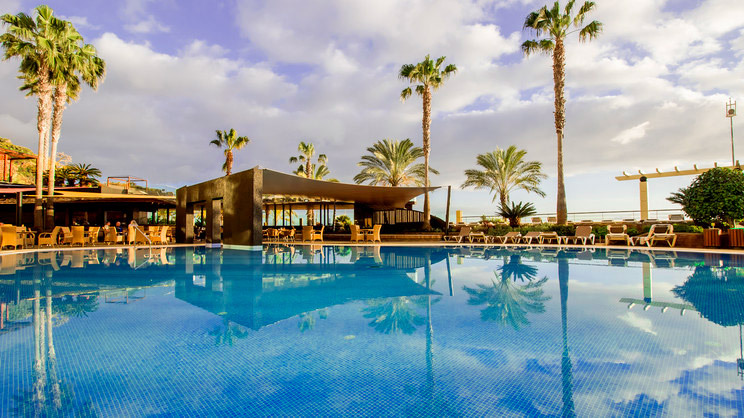 The Savoy Calheta Beach is situated just a stone’s throw from the beach. Enjoying an idyllic location on the South-West coast of Madeira, the Savoy boasts all necessary amenities onsite. Madeira Airport is approximately 48km away from the Savoy Calheta Beach.